Abrasive sleeves are used in almost all grinding processes. They are manufactured in a very wide range of dimensions and qualities. Basically, abrasive sleeves are made of abrasive cloth which is wound spirally onto a fabric with a very robust backing. This results in a very long service life in the machining process, for example in metal and wood processing. 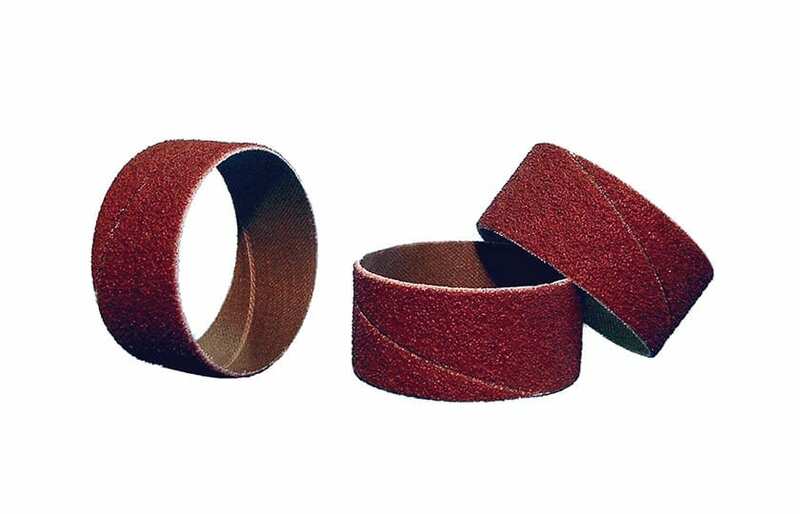 A distinction is made between cylindrically and conically shaped abrasive sleeves. An additional advantage of conical abrasive sleeves is that it is very easy to grind out workpiece zones that are very difficult to access due to the smaller radius of the abrasive sleeve that is created by the tool. A secure fit of the abrasive sleeve on the abrasive sleeve carrier and the resulting very high material removal due to the high aggressiveness of the abrasive can only be guaranteed if the minimum speed is maintained.